2nd Story Associates was a proud sponsor of Housing Santa Barbara Day! 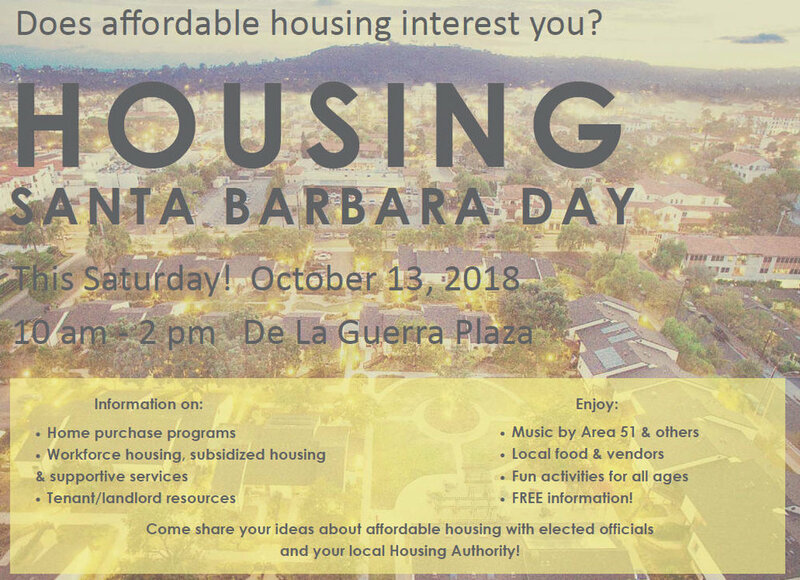 Held on Saturday, October 13th, Housing Santa Barbara Day was a community event that brought together residents, landlords, housing agencies, city and county leaders and local non-profit organizations. Attendees were provided with information on housing resources and given an opportunity to provide input on the affordable housing crises on the Idea Wall. The focus of the event was on encouraging ideas on increasing the availability of affordable housing, reducing homelessness, as well as fostering more programs that address the affordability crisis facing our middle income earners like teachers, emergency responders, social workers and more. A great resource provided to attendees was the Affordable Housing Resource Guide. Click on the link below to access this resource!